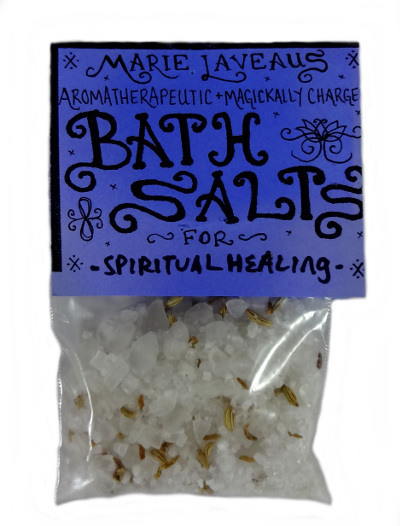 We prepare a custom blend of bath salts which are aromatherapeutic and magickally charged. Each bag is for multiple use and they are prepared for either Love, Prosperity, Protection, and Spiritual Healing. 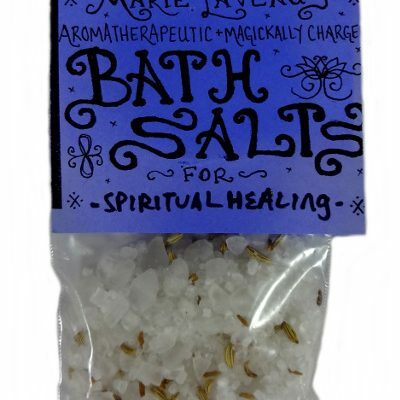 Used for bathwater only, not for consumption.